The year is 199X. The world's most dangerous racing competition has been created: the INFINITRACK GP! Created by - oh, I don't know, some nefarious corporation I suppose - it stretches on indefinitely and has never been completed by ANYONE. Of course, that hasn't stopped thousands of thrill-seekers from attempting to conquer it every day on their shiny new bikes and in their speedy new hot rods, and on this day in particular you too take it upon yourself to join those who have etched their names in the halls of glory by challenging this course yourself. There's just one problem… you've somehow managed to get onto the track driving the wrong way! But hey, a couple of head-on collisions never hurt anybody, right? (Don't quote me on that.) Choose your vehicle, give it a paint job and some upgrades, and see how far you can make it on the Infinitrack! 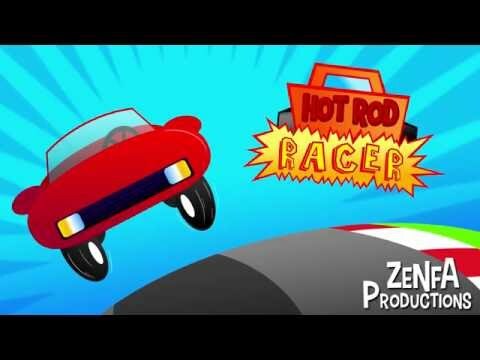 This is Hot Rod Racer! Hot Rod Racer has no personality and its gameplay mechanics are simply frustrating and not fun. 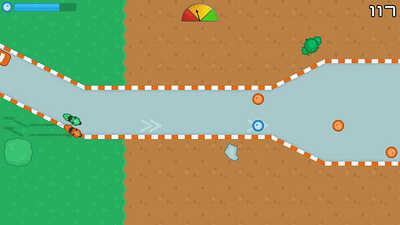 There are few objectives, its tracks don't motivate the player to go forward and the vehicle's hitbox makes everything more difficult. A clear case of a game designed for the mobile segment which has no place elsewhere, no matter how low its selling price is. 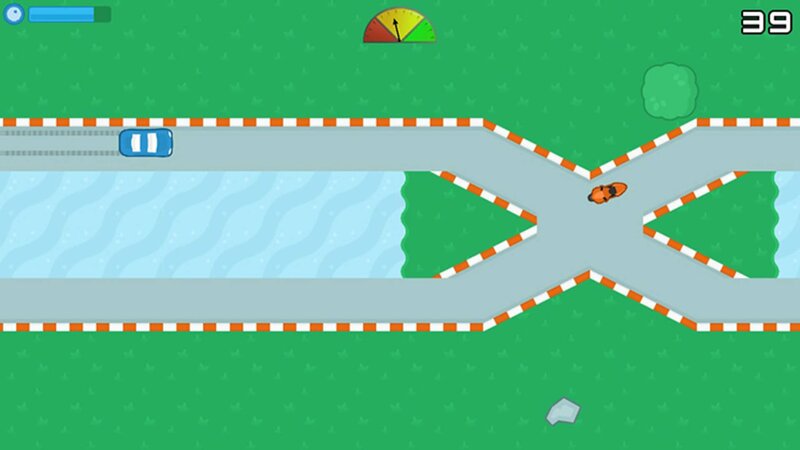 If you're feeling daring, or perhaps enjoy breaking the law and driving on the wrong side of the road like a crazy person, Hot Rod Racer might just be the game for you. The music is so catchy that it makes the merciless nature of the title almost addictive. In all seriousness though, with such poor production values outside of the soundtrack, and archaic gameplay to boot, it's hard to recommend Hot Rod Racer to Wii U owners. For those of you fixated with speed, seek your thrills elsewhere.